ATL Dunbar Ltd have always sold bespoke aggregate sacks at the core of its operations since we started over 20 years ago. Supplying large volumes of aggregate sacks across all of the UK & Ireland, ATL Dunbar holds a reputation for producing high quality, strong and efficient aggregate sacks at the most competitive prices. Utilising the combination of our high strength polymer sack blends and our purpose-built sack extrusion lines and conversion machines we supply sack film and bags that are unrivaled in terms of quality. Made To Specification, Complete Range Of Colours, Up To 8 Colour Printed Designs, High Strength Polythene Blend. 20 Micron – 300 Micron, Ultra Low Slip For Stacking, Anti-Static Option. 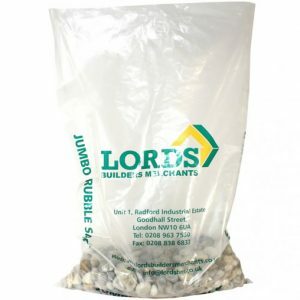 The majority of our aggregate sacks are manufactured in our high strength polythene blend. The blend is tweaked slightly for every customer to meet their exact sack requirements for the packaging process they use for the sacks. Innovated by ATL Dunbar it results in an aggregate sack with excellent puncture, impact and tensile resistant properties. Our blend has been at the core of our aggregate sacks for over 20 years and we constantly work to develop and improve the blend in-line with rapidly advancing polymer technologies making our sacks stronger and more efficient than ever. Our high strength blend is also available in film format for the fill, form and seal packaging process, we supply both plain or printed films and our high strength blend offers excellent sealing properties that allow it to excel in efficiency for the fill form and seal process. To prove the capability of our films we are more than happy to conduct trials alongside customers to ensure our film performs at optimum levels on their bagging lines. 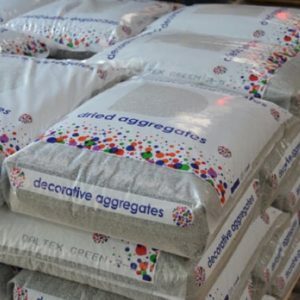 Due to our wide range of printing capabilities we can print customised designs of up to 8 colours onto aggregate sacks, our print origination team will also work with you to help ensure your company achieves a powerful design with your company branding that impresses your end customer when delivered. Our high strength sacks can be manufactured to serve a wide range of purposes that include compost sacks and animal feed sacks which are all also available in film format for fill form and and seal packaging lines.